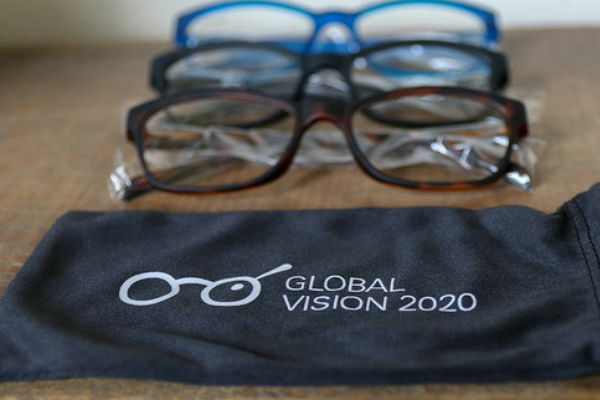 In January 2019, Global Vision 2020 (GV2020) joined the International Agency for the Prevention of Blindness. 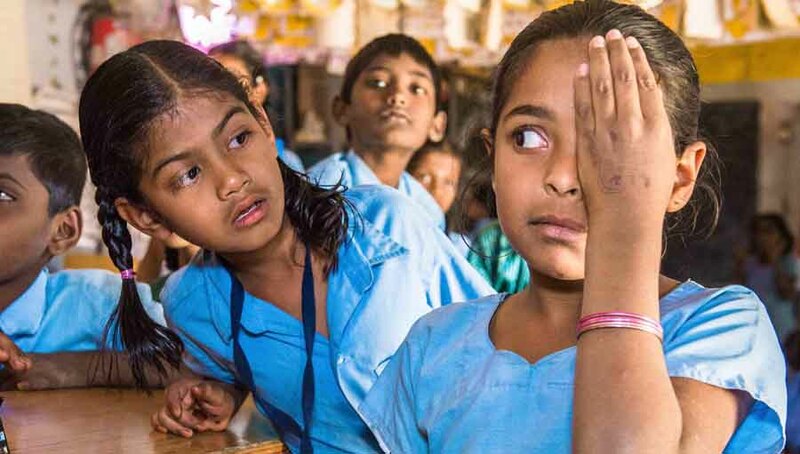 We are excited about the opportunity to be part of the organization that is leading the fight to end preventable blindness around the world. IAPB will be pivotal to our success as a small non-profit with a unique product. Our introduction to this international network has been a crucial step in our ability to expand programmes and reach a growing number of base of the pyramid (BoP) citizens. 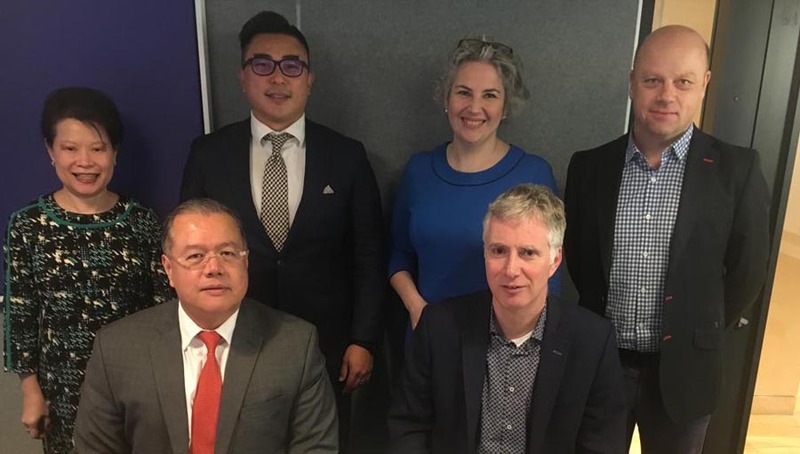 From the time we attended our first IAPB Council of Members meeting in September 2018, until now, the warm welcome, and continued interest we have received, has helped us develop a vibrant network in a short time. Kevin White, our Founder, as an active duty United States Marine, was assigned to the Humanitarian and Civic Assistance department within the European and African theatres of operation. His first humanitarian outreach project was to Morocco where a U.S. Military Hospital set up in a small town. People from the surrounding communities came from miles away to get dental work, receive medical attention, and get eyeglasses. As a lifelong wearer of eyeglasses, Kevin was drawn to the optical outreach. 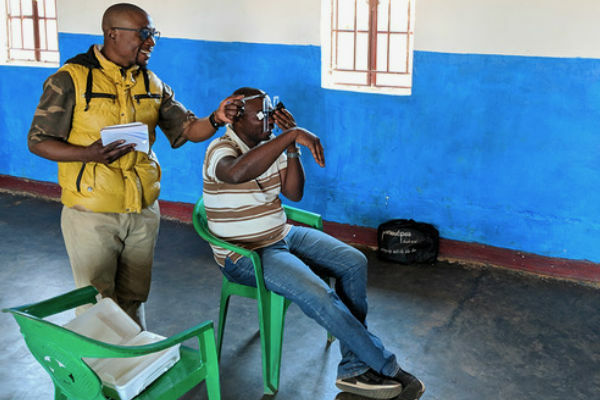 This outreach consisted of using an auto-refractor on the patients, and then finding the closest match from the 1,000 used frames the doctors had brought with them. As a professional logistician, Kevin was offended by the inefficiencies of this approach: rarely (if ever) did the patient receive an accurate prescription in both eyes, and often the patient would try to choose the frame style they liked, versus the prescription they needed. That was when he first became interested in finding a better way to deliver prescription eyeglasses to people living at the BoP. Over the past 14 years, after retiring from the Marine Corps, he concentrated his energies on finding ways to decrease logistics hurdles which led him to the idea of combining self-refraction with the delivery of standard eyeglasses. He developed the USeeTM, a diagnostic tool for determining the prescription of a person with uncorrected refractive error (URE). Simply put on the USee vision screening device, have the client dial in the correct prescription, snap in the corresponding lenses from the lens kit into a stylish pair of frames, and wear. 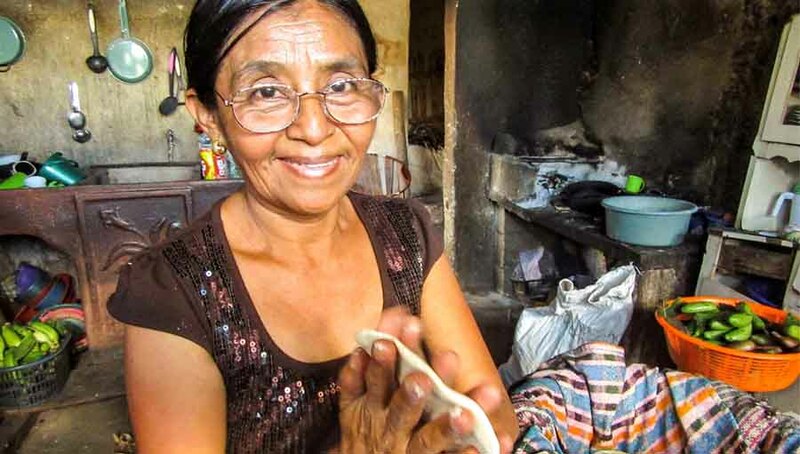 This systematic and inexpensive process makes it possible to support the existing eye-health community and distribute prescription eyeglasses to the areas of the world without access to basic eye care. With the USee system we have been able to simplify the distribution of prescription eyeglasses. The simplicity of the device lends itself to exponentially increasing the number of trained refractionists (eyeglasses dispenser). 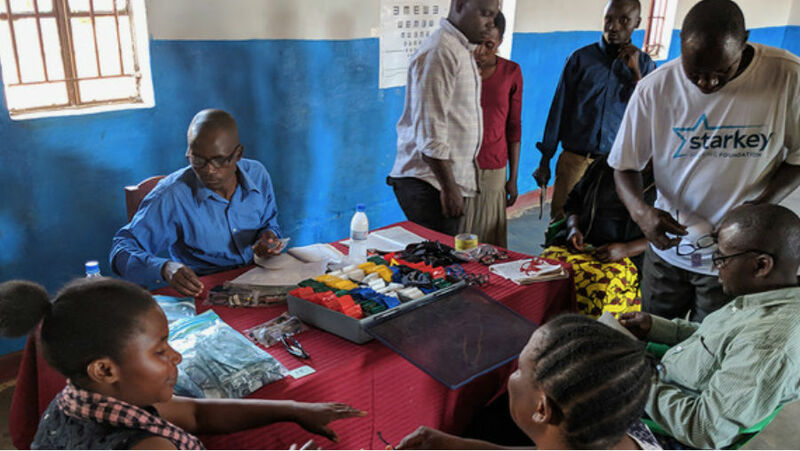 The training for USee use is approximately half a day; once supplied with a USee kit, a newly trained refractionist can deliver 250 prescription eyeglasses with the lenses that meet the needs of a large majority of people. Also included are 250 reading glasses of various powers. Distribution of both distance lenses and readers is statistically determined to meet the majority of clients’ needs. We have successfully field-tested distributions in several nations, and a Johns Hopkins University clinical trial has proven the accuracy of the USee. Our nimble distribution model allows for various types of partnerships across a broad spectrum of organizations. 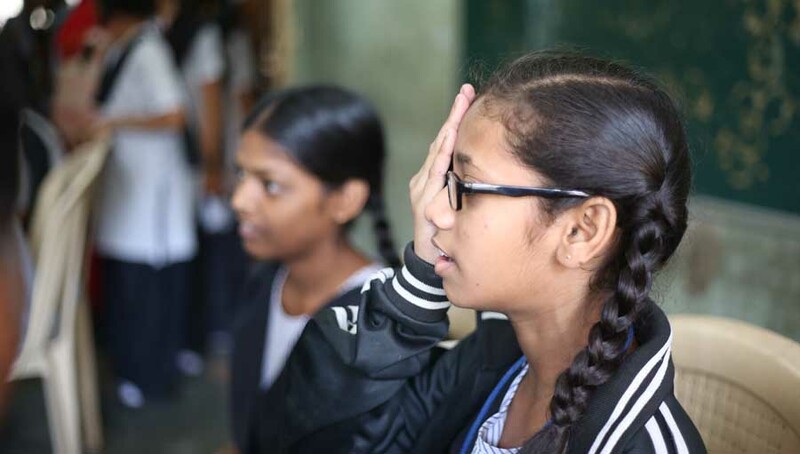 We have successfully worked with fellow eye-health groups, humanitarian and education organizations, governments, and faith-based organizations. We train local health workers, civil servants, and NGO employees in the USee technique and organizations are able to expand their services to the local population by included basic eye screenings for URE and (the need for reading glasses). Training also includes how to recognize other pathologies, and refer them to the next echelon of care, where one exists. To date we have trained over 150 eyeglasses dispensers who have delivered 18,000 pairs of eyeglasses. It is our goal to expand partnerships rapidly. 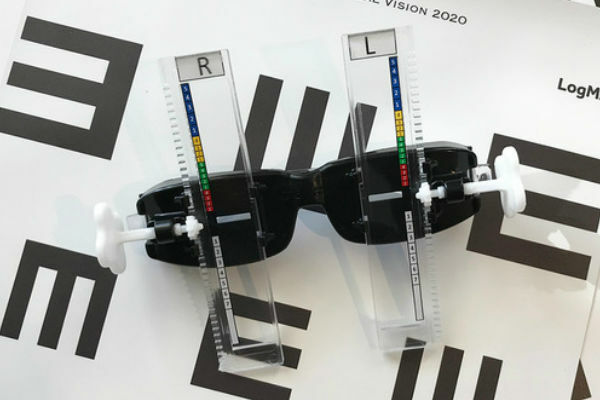 We believe our kit can greatly increase the reach of existing eye health networks, and drastically reduces the cost at which an ISO certified pair of eyeglasses can be provided. The training is simple and allows higher echelons of eye health professionals to care for more complex issues. Addressing URE at the lowest possible level, in an ethical way, increases both the efficiency and the reach of existing eye health programmes. We are currently attempting to set up logistics and supply hubs throughout several regions of Africa to better facilitate supplying partners, however, kits are available now. Poor vision effects every aspect of one’s life. Educational, employment, safety, quality of life – all suffer with blurry vision. It is now possible to solve this issue easily, rapidly, and inexpensively. We are committed to helping organizations around the world achieve this goal.